Home » MLB » Cecil Fielder, MLB, Keith Middlebrook. Signed NFL Champion Shawne Merriman, Elite Platinum Portfolios LLC, Keith Middlebrook Pro Sports. NFL LEGEND, MARSHALL FAULK, COMING SOON “THE REAL TRUTH” ON GYM TALK. Keith Middlebrook, Floyd Mayweather & S at the “Black Panther Penthouse” in LA. Mayweather VS McGregor, Greatest Crossover Fight in History – MIDDLEBROOK MONEY MACHINE. Cecil Fielder, MLB, Keith Middlebrook. 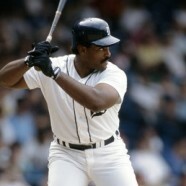 Cecil Fielder is one of the greatest power hitters in history! More to come..